Angela and Kandy embarked on a big wall hanging project. In our first class, we got all our fabrics cut to size and organized so we are ready to sew. Angela is working with the prettiest cardinal fabric. 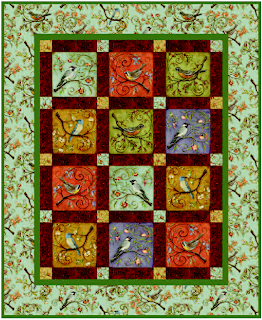 She is using brown sashing, white connecting blocks, a hunter green inner border and a pine cone outer border. It is gonna be pretty. Kandy is using the fabrics from the JoAnn project sheet. She had to order them online and got the fabric shipped to the store. This quilt has mitered corners. * Get all the rows of the center of the top sewn together. Don't press any seams - we will do that in class. Could you please tell me if you had them wash thir fabrics. 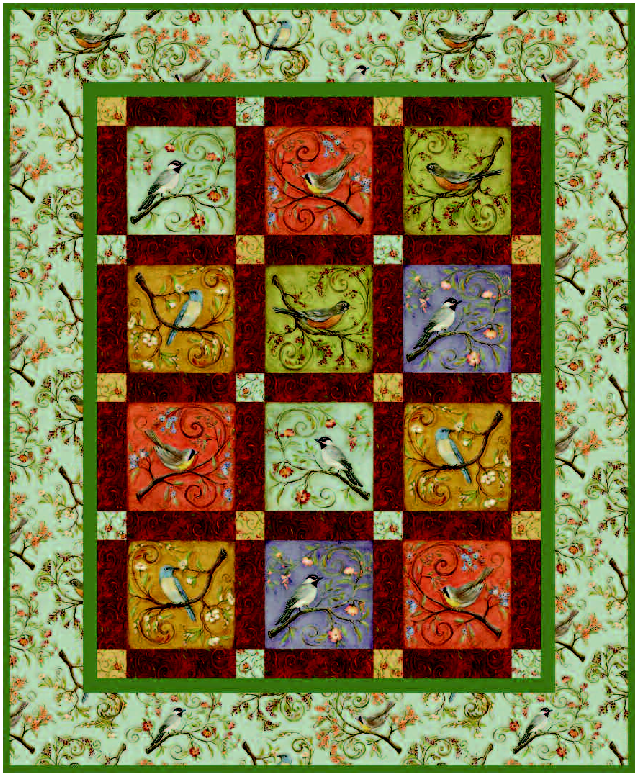 I just bought the fabric to make this quilt and I am torn as to whether I should wash it before I start. Thank you for the advice! I've done it! I've lost mine mind!! !